Well, this is it. Angela Smythe has sent me the last installment of her fantastic research. It was five years in the making. Each step was shared here on this blog each year on the anniversary of John Wilkes Booth’s birth (May 10). The final piece of the puzzle is now presented here. Congratulations Angela. I’m proud of you. You are a wonderful friend and colleague and I appreciate that you allowed me to be a part of this exceptional journey. My interest as an “armchair historian” was never in the American Civil War. I had no family history, both sides coming here long afterwards. My knowledge base was limited solely to the occasional documentary, reading (and seeing) Gone with the Wind, marveling at Bette Davis’ performance even earlier as the quintessential southern belle in Jezebel, and a glancing knowledge of what I thought were the facts, or what I had been taught were the facts about that war years ago. A dear friend of mine, the late Dr. Moustafa Chahine, asked me one day over lunch while rehashing our shared history interests “Did I think that Mrs. Lincoln was crazy?” I said I didn’t really know and he asked me to “Look into it and tell me what I thought.” So I read a few books and provided my opinion. He then asked me “Did I think Mrs. Surratt was guilty?” Again I gave him the same response, which again prompted his earlier one of “Well, look into and tell me what YOU think.” In search of that answer; of course any path leads you to the Lincoln Assassination and to John Wilkes Booth. The more I read about the historic “John Wilkes” the less he seemed to fit the image of “Booth” that I remembered from my now long ago college years. In hoping to learn about the man behind the myth, I consulted his sister’s memoir, Asia Booth Clarke’s The Unlocked Book where I found her mention of a photograph taken of him in uniform while at Charlestown. An armchair artist in addition to an armchair historian, this immediately got my attention – Did it still exist? That was in the summer of 2009. Throughout a path that has lead from a troop train in Richmond in 1859 to a note written in one of Mrs. Ella Mahoney’s library books in 1937, the answer has proved to be yes. Not only a newly discovered image of him, but of him in THE most iconic image of the American Civil War. “Conversations through the Glass” completes the 5 year journey from thinking it to proving it. On February 20, 2014, I received a ‘one sentence’ email from my good friend and researcher, Angela Smythe containing the following message Can I do a shout out now: “YO ADRIAN – WE DID IT!”. With this proclamation, I instantly knew that Angela was telling me she had found something substantial in her research documenting John Wilkes Booth in RG#1. Over the past five years, Angela Smythe has given me the honor of being the first to publish her ongoing work on John Wilkes Booth and the Richmond Grays. Angela’s goal has been to show, beyond a shadow of a doubt, that several images of the Richmond Grays, which featured a man resembling John Wilkes Booth, was in fact, the man himself. In May, 2010 I started a series on this blog called “STATE YOUR CASE” in which unknown researchers were invited to present their work in an open forum to the public. In return, they would received critiques and comments on their work. Angela was one of three to submit their work and her research caught the eye of several historians and researchers. As for me, I was so impressed with Angela’s methodology and reasoning behind her theory that, even though she did not have 100% proof at the time, she was definitely on the right path and it would just be a matter of time before she found success. Well, sometimes success takes a while. Five years to be exact. But Angela is now ready to present the final evidence in “Glimpsing a Shadow from Richmond” and “Conversations through the Glass” to prove that John Wilkes Booth is in these photos. And she has some strong backing from several historians and scholars. I am very proud of her and her ‘stick to it’ attitude that finally solved the puzzle. If you’d like to read Angela’s previous submittals (always posted on May 10 – John Wilkes Booth’s birthday), please click on the links below. For now, this is just a “Glimpse” into the culminating article of the Five Part study on John Wilkes Booth and the Richmond Grays, “Conversations through the Glass” which will be posted on, you guessed it, May 10, 2014. “He left Richmond and unsought enrolled himself as one of the party going to search for and capture John Brown. Clarke, Asia Booth. The Unlocked Book: A Memoir of John Wilkes Booth by His Sister. New York; G.P. Putnam’s Sons, 1938. Pgs.111-112. Always in search of a recollection or clue that would lead to the picture Asia described, on Friday, Valentine’s Day 2014, news arrived that morning from the most respected source possible, Professor Terry Alford, providing me with such a lead, linked to an improbable source – Izola Forrester’s book This One Mad Act. Professor Alford, knowing of my 5 years on-going research seeking Asia Booth Clarke’s photograph, kindly provided me with his notes advising me that on page 345 of her book, Forrester commented that her grandmother’s Bible contained three photographs, one of them a group of uniformed men with John Wilkes Booth in the center rear (just as we see pictured in RG#1). Further, that the Historical Society of Harford County’s collection contained Booth family confidante and chronicler Mrs. Ella Mahoney’s copy of this book, complete with her handwritten note on this page in the margin next to this sentence where she remarkably confirmed “I have one of these from the Booth Family”. When Professor Alford alerted me to look in this particular book, one which years ago I had abandoned any attempt to read at least one hundred pages before Forrester’s statement appeared, and asked me what I “made of it” in light of Mrs. Mahoney’s confirming written comment, I was flabbergasted to say the least. While waiting (interminably it seemed over the next few intervening days) for Tom Fink’s kind assistance in locating Mrs. Mahoney’s annotated copy of the book at HSHC, I focused on the tantalizing possibility of what this could mean; that from the most unlikely of sources and out of the most inexplicable place, Izola Forrester had somehow pulled from grandmother’s Bible a vintage print of RG#1, and further, that Mrs. Ella Mahoney, someone with uncontested close contact with the Booth family, had attested in writing that she had been given one herself, by the family. Potentially, this could mean finding not one but two vintage prints of a photograph that matched the description of the leading candidate I had identified in five years of research to be Asia Booth Clarke’s photograph of her brother, John Wilkes, taken in uniform while at Charles Town with the Richmond Grays in 1859. While Mrs. Mahoney’s photograph obviously had solid provenance to the Booth family, just how could one have come from Izola Forrester grandmother’s Bible? Just what, Professor Alford asked, could I possibly make of that information? “Glimpsing a Shadow from Richmond” answers that question. Click “Glimpsing a Shadow from Richmond” above to take you to the article. Also in PDF below. Hi all: I am proud to present the newest installment of Angela Smythe’s wonderful research work on John Wilkes Booth and the Richmond Grays. If you have been following her two earlier postings (May 10, 2011 and May 10, 2012) you will know that her work is thorough and engaging. Enjoy this third installment (Part one of two) and please do not hesitate to comment and compliment Angela on her outstanding efforts. Several years ago, I began my quest to find the picture Asia saw. In 2010, I wrote “Has He Been Hiding in Plain Sight – John Wilkes Booth and the Richmond Grays” (“Hiding”). In 2011 I continued my quest in “Out of Hiding – John Wilkes Booth and the Richmond Grays” (“Out of Hiding”), which examined some of the distinctive facts surrounding one of three 6th plate ambrotypes taken at Charles Town, Richmond Grays (RG) #1. I concentrated on its most intriguing fact, that shortly after Booth’s return to Richmond from Charles Town in 1859, it had been reproduced and enlarged by a then rarely used early glass plate negative process to make albumen prints. This rarity for its time and place lead one of its prints in 1911 to be misidentified in Francis Trevelyan Miller’s Photographic History of the Civil War as “Young Southerners at Richmond Making Light of War” just before Bull Run. This error would result in it becoming one of the most widely recognized and reproduced pictures representing the American Civil War, ironically taken during the time which many consider to be that war’s true beginning, John Brown’s invasion of Virginia. 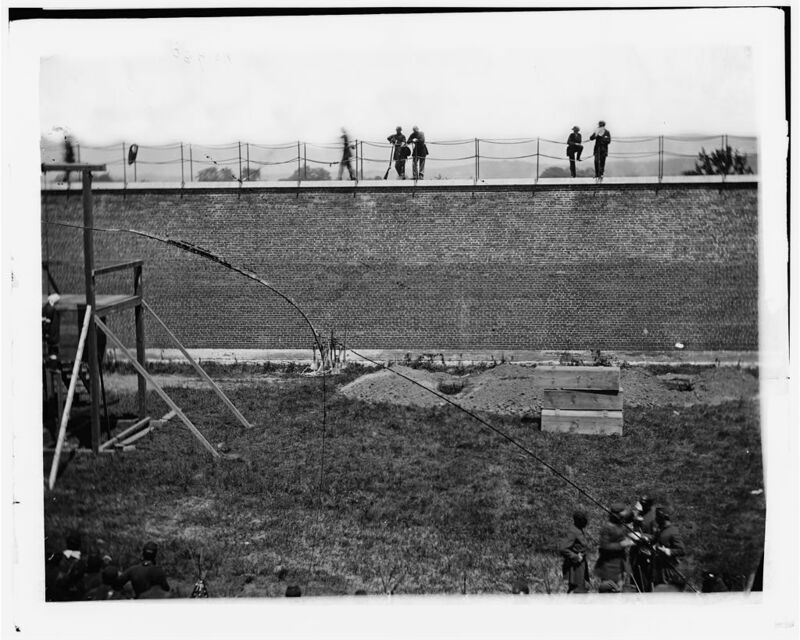 My third installment researching these images, “Chasing Shadows 150 Years Old – John Wilkes Booth and the Richmond Grays,” will be presented in two parts. Part One: “Chasing a Shadow from Richmond” (“Shadow”) tells how within a remarkable journey to reclaim their true identity, these misidentified Virginia Volunteers seen in RG#1 became the face of the American Civil War. Throughout this photograph’s amazing history, the compelling faces of these young soldiers have entered our national consciousness. Shadows from the past, they have somehow transcended their own time to now represent a “Band of Brothers” for all time. 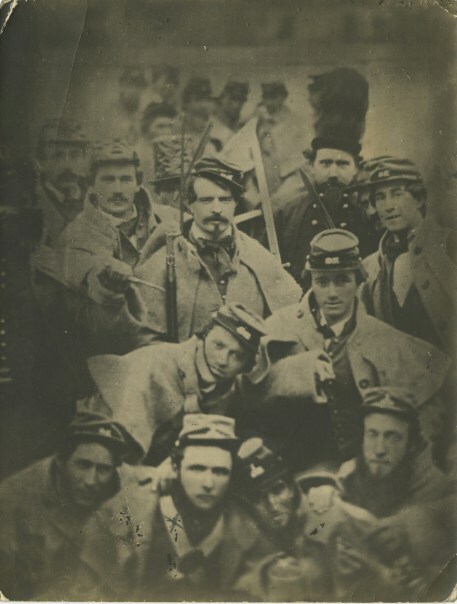 For the past 150 years, has John Wilkes Booth’s face been among them, hiding from history in plain sight while proving his fealty to Virginia in the most iconic uniformed group image of his time? No, he hasn’t been hiding; he’s been there in the shadows all along. Another year has passed since researcher Angela Smythe published her latest findings here on John Wilkes Booth and the Richmond Grays. In true tradition, she is back again with her most intricate look at the man and the outfit he joined in November of 1859. “Bound for Glory”, in conjunction with her other two previous works, “Has He Been Hiding in Plain Sight” (published May 10, 2010) and “Out of Hiding” (published May 10, 2011) should be combined into one fine book . . . at least that is what I keep telling Angela. Perhaps one day soon … if we are lucky! I am very proud of her and the work she has generated since she first started this project over three years ago. Way to go Angela! Keep it up…and may we see more in the future! 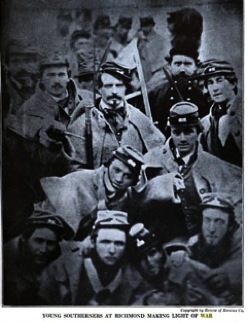 “He (John Wilkes Booth) left Richmond and unsought enrolled himself as one of the party going to search for and capture John Brown…and I have been shown a picture of himself and others in their scout and sentinel dresses” (Clarke, Asia Booth, The Unlocked Book; A Memoir of John Wilkes Booth by his Sister, New York, G.P. Putnam’s Sons, 1938, pg. 111-112). “Bound For Glory” is a different search for yet another picture, the true picture of just how Asia’s brother “unsought enrolled himself” on the evening of November 19, 1859. Among the many men who sought to volunteer that night, John Wilkes Booth alone was allowed to join his adopted “Band of Brothers,” the Richmond Grays, when they accompanied Governor Henry A. Wise on a special military train, deployed to the anticipated seat of war at Charlestown. Clarifies previously known facts about that event found in other, more frequently cited, recollections, and provides a complete and comprehensive picture of the November 19, 1859 journey to Charlestown. and I hope you enjoy the ride…. To see all three articles and much, much more, go to AntebellumRichmond.com. 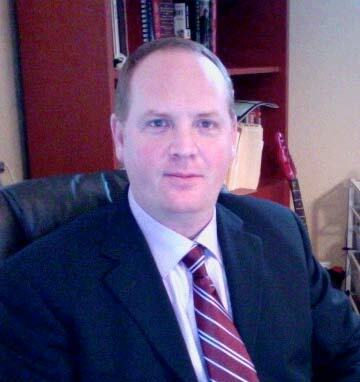 Last year on May 10th, 2010 Angela Smythe presented a paper here called Has He Been Hiding in Plain Sight? John Wilkes Booth and the Richmond Grays . It presented a very plausible case that several well-known photographs contained images of John Wilkes Booth. One year later, Angela has completed her work and followed up with this supplement “Out of Hiding – John Wilkes Booth and the Richmond Grays”. Here is Angela’s summary of the piece along with the posting I featured here under my feature State Your Case #3 last year. Does Asia’s picture still exist? “Has He Been Hiding in Plain Sight? John Wilkes Booth and the Richmond Grays” (“Hiding”) released on May 10, 2010, sought to determine if several ambrotypes of the Richmond Grays, a pre-Civil War Virginia militia group, taken during the John Brown deployment, might contain John Wilkes Booth and if one of them could be the picture which Asia saw. “Hiding” examined five pictures and determined that one individual in three particular pictures (original media ambrotype, designated in “Hiding” as RG#1, RG#2 and RG#3), could be Asia’s picture. “Hiding” compared these ambrotypes with known images of Booth and documented Booth’s presence with the Richmond Grays at Charles Town during the John Brown militia deployment in 1859. 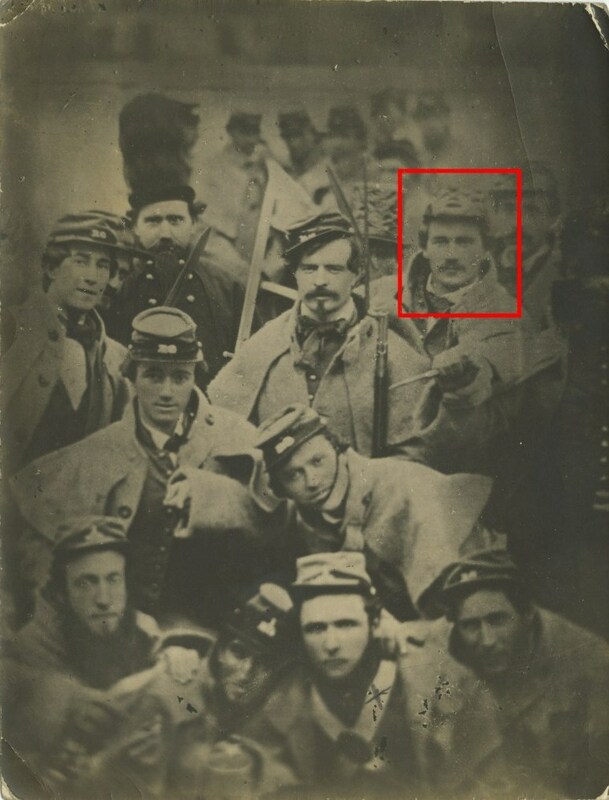 “Hiding” concluded by suggesting the need for additional research into these pictures and facts pertaining to John Wilkes Booth’s participation in this deployment as a means of confirming his possible inclusion in these pictures. This supplement continues where “Hiding” left off. It provides additional and newly discovered documentation on RG#1, RG#2 and RG#3, lending even further support to the theory proposed in “Hiding” that John Wilkes Booth could be present in these pictures, and that one of them could be the very one which his sister Asia saw and wrote about in her manuscript. Link for “Out of Hiding” . Proposition: To determine if several photos of the Richmond Grays, a pre-Civil War Virginia militia group, taken during the John Brown deployment, contain John Wilkes Booth. Angela Smythe has taken this subject and painstakingly researched it presenting a very viable case for you to consider. The investigation starts by examining the most likely and widely known group images taken at that time and place. Next the investigation turns to those Richmond Grays who have been documented at Charles Town during the 1859 deployment and an assessment of the Charles Town pictures, including visual comparison to other known pictures of some of the participants. Finally, careful consideration is given to whether John Wilkes Booth could possibly be in one or more of these pictures. NOTE: For reasons of copyright requirements, Angela’s article is hosted on a secured website. The link is listed below (see Hiding_In_Plain_Sight . I encourage you to comment on her work and give honest, fair feedback for her to consider. To do so, you will need to return to this site by clicking on the link at the bottom of her article. Once back here, you can then leave your comments in the Comments section at the bottom of the page. For the past 10 years, I have supported the earth-orbiting Atmospheric Infrared Sounder Project (AIRS) at NASA’s Jet Propulsion Laboratory. Dr. Moustafa Chahine, our Science Team Leader is often asked about his opinion on climate change based on our satellite’s measurements, and he always replies that as an objective observer, he can only be a witness and his role is not, nor should it be, that of judge, jury, prosecutor or defense counsel. It is a wonderful explanation of what true research is all about, being a witness; and that is what I have tried to accomplish with “Hiding”. I have written what I have seen. It is up to the jury, the readers of “Hiding”, to determine for themselves if John Wilkes Booth has been hiding in plain sight. Has He Been Hiding in Plain Sight? In November of 1859 John Wilkes Booth accompanied the Richmond Grays during their militia deployment to Charles Town in the aftermath of John Brown’s Raid at Harper’s Ferry. This fact was known even in Booth’s own lifetime. His participation and presence have long been verified by first-hand narratives and confirming documentation. In The Unlocked Book, Booth’s sister Asia recounts seeing a picture of him with others dressed in their uniforms during the 1859 Charles Town militia deployment. A tantalizing possibility arises, one which begs an important question. Does Asia’s picture, or any others taken of Booth during this time, still exist? For the answer to this question… (click the link below to see the full article with supporting photographs). NOTE: For reasons of copyright requirements, Angela’s article is hosted on a secured website. The link is listed below (see LINK TO STATE YOUR CASE (No. 3) . I encourage you to comment on her work and give honest, fair feedback for her to consider. To do so, you will need to return to this site by clicking on the link at the bottom of her article. Once back here, you can then leave your comments in the Comments section at the bottom of the page. “The subject of history is vast and offers immeasurable opportunities for new discoveries”. Hi all: Many of you have great ideas or theories about history-based subjects that you’ve always wished to share with the public but did not have a place to do so. Perhaps you’ve wanted an expert to review your work so you could get friendly, professional advice from them. Or, you feel that you are ready to present your great discovery to the world and are prepared to get it out there for all to see and react to. Well, if any of these scenarios sound familiar, then this might be the place for you. STATE YOUR CASE wants to give you that opportunity. If you are a student (from 1st grade to university), amateur or junior researcher, who wants to get your ideas published, then I’d like to speak with you. Currently STATE YOUR CASE is searching for individuals to share their ideas and theories on history-based subjects and prepare them for publication on this blog. Experts will be invited to view your presentation and make appropriate comments. Even if you haven’t done this before, I’d like to hear from you and about your idea. If you are the parent or guardian of a young student who you think might enjoy this, I am particularly interested in seeing submittals from them. If you have a theory to present or even an idea for one that you’d like to just talk about, please write me at outreach@awesometalks.com and we can discuss it further. What type of history are we talking about? Any subject is open for consideration as long as it relates to history and you have an interesting theory to present. If you are interested in putting forth your theory for others to consider, then please read the rules of submission below. I really look forward to seeing your work. Contact me by email at outreach@awesometalks.com with your initial proposal. Your email header should say STATE YOUR CASE. Keep your email short, briefly explaining what you are interested in presenting. At this stage, do not send photographs or attachments until requested to do so. Upon considering your request and topic, I will reply by email whether your submittal is appropriate for STATE YOUR CASE. If so, I will invite you to send additional information. Upon approval to proceed, you will be asked to submit the evidence you’ve gathered to support your theory. For instance, if you believe you see Abraham Lincoln walking down the street in an 1860’s photograph, you will need to submit more than just the photograph. Believing you have found a famous person in a photograph is an extremely common claim, but completely subjective without additional evidence. Just saying “It’s him. I just know it” will not be enough to move forward. You will need to back up your claim with hard evidence or at least present a solid logical argument about your subject. Otherwise, it will not stand up to public and professional scrutiny and unfortunately, cannot be presented here. If you believe that you have this evidence or logical argument, then STATE YOUR CASE will give you the opportunity to present your theory. Mandatory: A statement in writing that claims the work is your own creation and not plagerized. One short paragraph summarizing your case and what you will be presenting. A written document stating your case with a logical argument and evidence presented (if appropriate, include sources for your research in typical bibliographic format). If your case is image-based, submit the photographs or images (no more than 8 per case is recommended). Be sure your photos are in the public domain and not copyright protected. The final presentation will be sent to you for final approval before posting. No article will be posted without your final approval to proceed and written statement that claims the work is of your own creation. From start to finish, the process may take anywhere from 3-6 weeks. Your presentation will be posted as scheduling allows and will remain as the top story for approximately five or more days. Feedback and comments from both the public and professionals will be encouraged, invited and posted. The better your argument, the better your positive feedback. Avoid written documents that are too long. Keep your written presentation as short as possible. Although your experience and presentation skills will dictate this, for those of you just starting out, be concise and to the point is the recommended approach (1-3 pages is ideal). Avoid subjective statements. “I see Lincoln in the photo and no one can tell me otherwise” will not win favor with me or my readers. Please avoid such claims unless you have rock-solid evidence to back it up. Avoid a subject that has been already beaten to death unless you have a new approach or evidence to support your case. Avoid covering more than one topic per presentation. If necessary, break up the content into more than one submittal. The more the merrier. Avoid tunnel vision. Just because you believe something is true, does not mean others will buy into it. Your job is to present a solid case to back up your beliefs. Be prepared to accept criticisms for weak arguments as well as receive praise for well presented work. Avoid assuming that everyone knows about your subject. You may need to educate them before explaining your case. I encourage you to present your thoughts and theories on historical subjects on STATE YOUR CASE. Keep it simple and easy to understand and see what my reader’s think. Keep an open mind and learn from the experience. Feedback will give you some new ideas to further develop your research and make it even stronger. I wish you well and look forward to hearing what you have to offer. If you have any questions, please feel free to write me and I’ll get back to you as soon as I can. on Thursday, April 15, 2010 at '12:01 am' Enter your password to view comments. on Monday, April 12, 2010 at '1:06 pm' Enter your password to view comments.